Stigmergy is a communication method used in decentralized systems in which individuals communicate with each other by changing the surrounding environment. 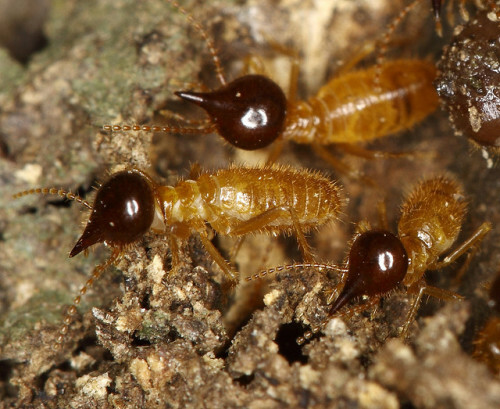 The term was introduced by French biologist Pierre-Paul Grassé in 1959 to refer to termite behavior. Stigmergy was first observed in social insects and then applied at artificial intelligence system. 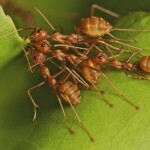 Ants exchange information by laying down pheromones (the trace) on their way back to the nest when they have found food, in this way they collectively develop a complex network of trails, finding the shortest path to a food source and connecting the nest in the most efficient way. When ants come out of the nest searching for food, they are stimulated by the pheromone to follow the trail towards the food source. The network of trails functions as a shared external memory for the ant colony. 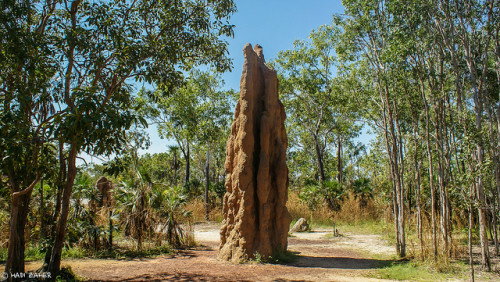 Other eusocial creatures, such as termites, use pheromones to build their complex nests by following a simple decentralized rule set. Each insect scoops up a ‘mudball’ or similar material from its environment, invests the ball with pheromones, and deposits it on the ground, initially in a random spot. However, termites are attracted to their nestmates’ pheromones and are therefore more likely to drop their own mudballs on top of their neighbors’. The larger the heap of mud becomes, the more attractive it is, and therefore the more mud will be added to it (positive feedback). Over time this leads to the construction of pillars, arches, tunnels and chambers.